For many young undergraduates, the prospect of entering the world of work can be daunting, and even more so for those who find themselves smiling for the camera on graduation day but still unclear on the next step. Jordan Stephanou was a case in point. Fresh from school he decided to pursue a degree in Health Sciences at Wits. It only came home to him during his Honours degree that the medical route was not for him. Stephanou has since found his niche in the entrepreneurial tech space as the founder of meal ordering app tastePal, which has been recently shortlisted for the World Summit Award as best digital solution in Business and Commerce in South Africa. “I used my year completing my Physiology degree to learn more about myself by getting involved in all sorts of activities outside of academics. In doing so, I realised that my passion lay in leadership and finding scalable solutions to problems - hence the desire to pursue business,” says Stephanou. It is not uncommon for graduates from degrees far removed from business to decide to enrol at a business school in order to get a better sense of the gritty world of work. The Postgraduate Diploma in Management (PDM) at Wits Business School (WBS) is popular among young graduates from different faculties wanting a taste of the business world. For many of them this year can be life changing, according to Charisse Drobis, Head of the Careers Centre at WBS. “We’ve seen doctors and lawyers taking a 180 degree turn and become absorbed in investment banking; engineers and dentists becoming entrepreneurs, and there are numerous other examples,” says Drobis. Stephanou enrolled for his PDM at WBS in 2014 and describes it as a turning point in his life. “The PDM validated that business was the right path for me, and gave me the confidence to believe that I could thrive in a business environment. My year at WBS also gave me the opportunity to test my ideas with some of the smartest people I have ever met! The two-month internship, which is part of the programme, provided me with my first glimpse of corporate life, which gave me countless learnings about the pros and cons of certain career choices, and illuminated the path I wanted to set out on,” asserts Stephanou. An unexpected ‘learning’ happened when Stephanou was standing in a lunch queue during a period where he worked in banking after his PDM. A snap survey showed Stephanou that corporate employees prioritise convenience to such an extent that they are willing to pay extra for an online platform like Uber Eats, rather than lose time waiting in lunch queues. The way the app works is simple: staff members view the menu of their in-house restaurant or canteen on the app, order their meal, make payment and receive a notification when their meal is ready to be collected. tastePal is in partnership with two catering companies who pay a monthly retainer plus a setup fee. tastePal has also partnered with FoodForward SA, a food security NGO, to redistribute surplus food to other NGOs that support starving women and children. “Our preliminary goal is to contribute to 150 000 meals by the end of 2019, and to contribute to 1 million meals by the end of 2021,” says Stephanou. When Stephanou says he’s poised to expand into Africa, he really means it: tastePal was selected to participate in the Business Africa Forum in Sharm el Sheikh Egypt in December as well as for the Creative Lab in the Africities conference in Marrakesh Morocco in November. Stephanou himself is an active member of the African Union-European Union (AU/EU) Youth Hub, one of only 42 designated global ‘Young Experts’, and he also recently took part in in the Program for Infrastructure Development in Africa (PIDA) conference in November. The World Summit Awards, for which tastePal was nominated, aim to promote the world's best digital start-up companies and innovative apps which have a strong social impact element, or which focus on any of the UN’s Sustainable Development Goals. The doors are opening for this savvy social entrepreneur with a heart for Africa. Something tells me Jordan Stephanou is a name to watch. 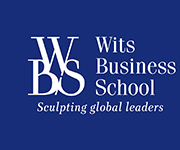 At the Wits Business School we recognise that our task, through our academic and executive education programmes, is to equip leaders, managers and entrepreneurs with skills to proactively address challenges presented by the changing environment within which we operate. Visit our InfoCentre or website.